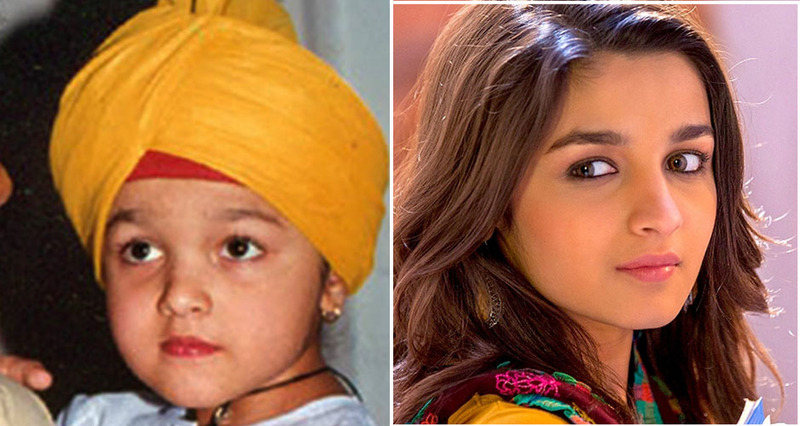 How many of these Bollywood celebs who started as child artists did you know? Some say that to have exceptional talent, one needs to be born with it!!! And we think that it’s absolutely true in the case of these Bollywood celebs! Long before they became household names, some of our favorite Bollywood celebs who started as child artists. These Bollywood actors captured the hearts of millions with their innocent childish smiles and acting skills. They left a lasting impression on the hearts of the audience in a very short span of time. From Imran Khan to Sridevi to Aamir Khan, they all displayed their talent right from when they were teeny tiny kiddos. Aamir Khan aka Mr. Perfect of Bollywood made his small screen debut with the multi-starrer musical super hit of 1973 Yaadon ki Baarat. He played the role of young Tariq in the movie. Tariq was a well renowned actor, who is also his uncle. 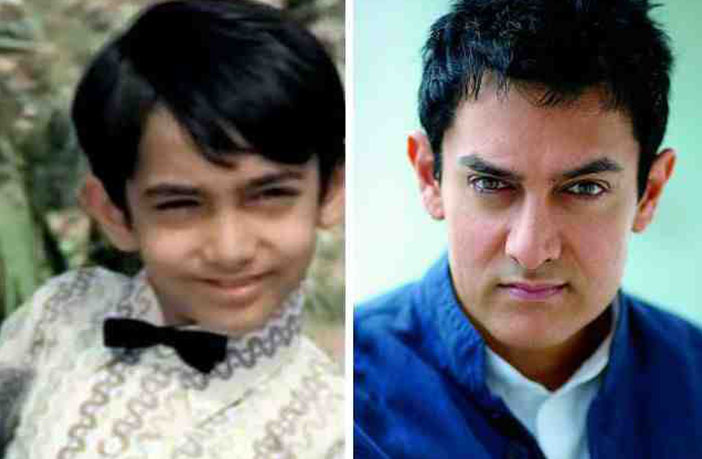 Over the years, Aamir has established himself as one of the most sought-after and influential actors of Bollywood. He has given stellar performances in films like Lagaan, Taare Zameen Par, Rang De Basanti, Dangal, PK, 3 Idiots, Ghajini, Sarfarosh and Dil Chahta Hai. Sridevi was an actress par excellence and she began acting when she was just four years old! Sridevi was fond of dancing from a very early age and began her career as a child actor in the Tamil movie Thunaivan, playing the role of young Lord Muruga. After this, there was no looking back for this legend! Besides doing many Tamil and Telugu movies, she also made a huge impact on Bollywood! Sadma, Chalbaaz and Mr. India were some of the fabulous movies which fans have really loved. She had also made an amazing come back with her movies like English Vinglish and MOM which had resonated with so many Indian women. Imran Khan, nephew of Aamir Khan followed in his uncle’s footsteps and acted as a child artist in Qayamat Se Qayamat Tak and Jo Jeeta Wohi Sikander. After all who better to play young Aamir Khan in the movies, than his own nephew?!! Daughter of famous Bollywood Filmmaker Mahesh Bhatt and actress Soni Razdan, this hot starlet made her debut with the 1999 film Sangharsh. Alia played the younger version of Preity Zinta. She looked extremely cute and innocent in the film. Now she has transformed into a diva who has given various power-packed performances. This Bollywood heartthrob posed before a camera when he was just 6 years old. Hrithik Roshan’s grandfather, Prakash gave him a dance sequence in the film Aasha in 1980. He also played small roles in other films such as Aap ke Deewane, Aaas Paas and Bhagwan Daada. It is surprising to know that Hrithik’s father did not want him to be an actor. Hritik was also diagnosed with Scolisis – a disease in which he wasn’t allowed to perform stunts or dance. But, as destiny had other plans, Hrithik was able to pursue his dreams as an actor and today, he is one of the most popular and talented actors of Indian Cinema. This actress and model appeared on screen first time as the 8 year old daughter of Shahrukh Khan and Rani Mukherji, named Anjali in the 1998 movie Kuch Kuch Hota Hai. She got noticed in spite of a small role. She went on to act in various movies and TV shows before she made her official screen debut as Tanya in Karan Johar’s Student of the Year in the year 2001. She is the cute little girl named as Bharti, who played the role of Kamal Hassan and Tabu in the 2001 movie Chachi 420. She appeared in various movies post this such as One 2 ka 4, Tahaan, Bittoo Boss and Akash Vaani, but they didn’t get her much attention. Well, now the audiences recognize as the rough and tough Geeta Phogat, as Aamir Khan’s daughter and wrestler in the 2016 super hit Dangal. Her role as Geeta Phogat was much appreciated and the audiences loved her tough avatar. Her next movie Thugs of Hindostan, is also with Aamir Khan. In fact, it also stars Bollywood superstar Amitabh Bachan. Lucky Girl! Did you know about these Bollywood celebs who started as child artists?